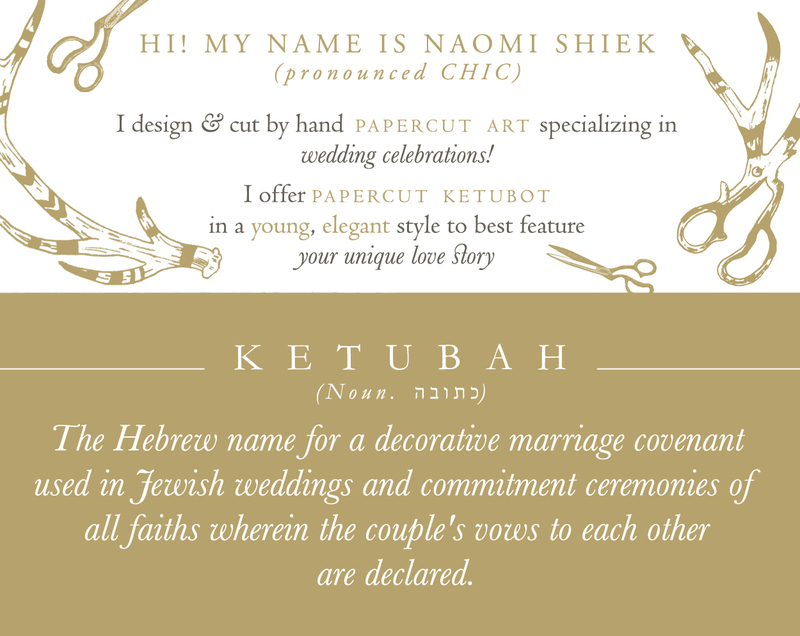 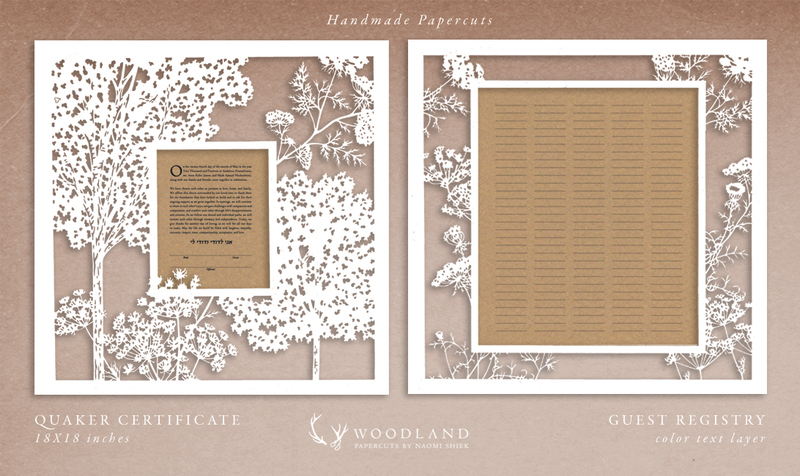 This Quaker certificate & guest registry set was commissioned by Jennifer & Omar back in 2012 - of course I don't have proper photos of it, so this preview image will have to do. 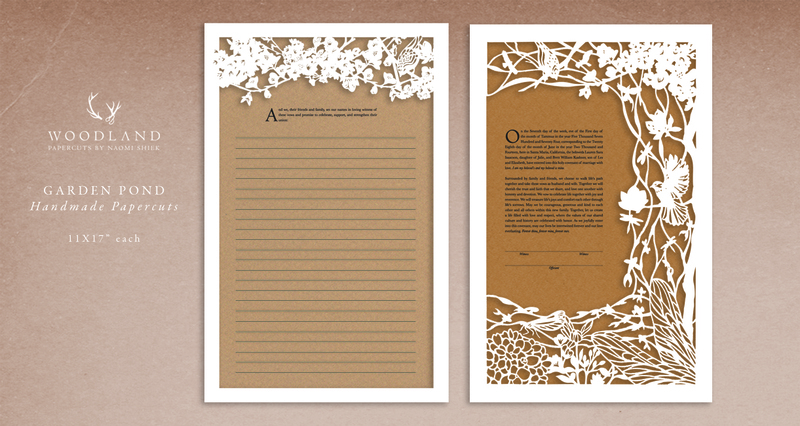 Jennifer asked for a design inspired by the lyrics of Feeling Good. I love that song! 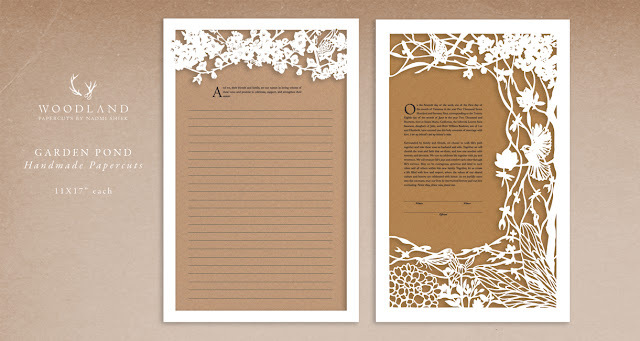 Flowers, birds, and dragonflies border the text and signature lines. 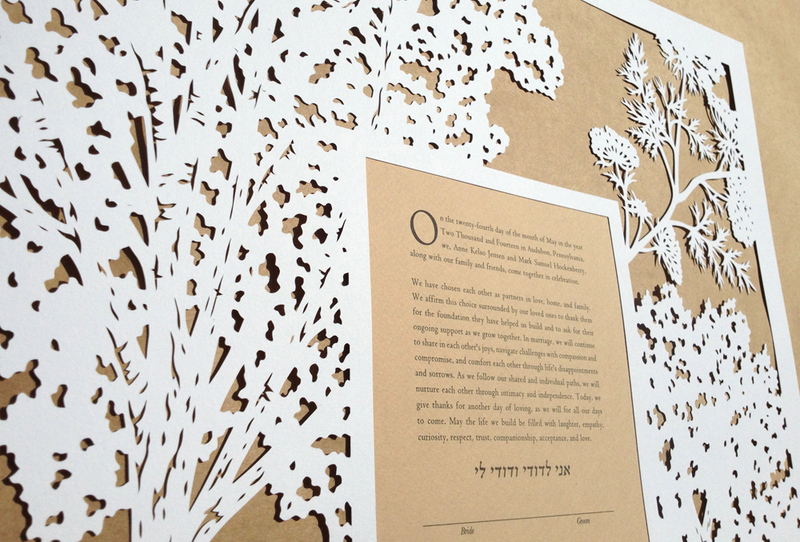 This beautiful set for Anne & Mark was commissioned two years later, so I smartened up by then and took photos. 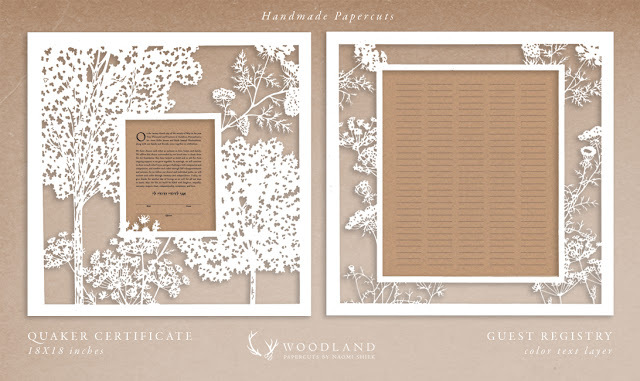 They asked for Queen Anne's lace flowers and Honey Locust trees, with a design that spills over two panels.